Illuminating Engineering Society (IES) and AVIXA have released their new standard Recommended Practice for Lighting Performance for Small to Medium Sized Videoconferencing Rooms (ANSI/IES/AVIXA RP-38-17). Created by lighting experts from IES and videoconferencing experts from AVIXA, the standard is ANSI (American National Standards Institute) approved, demonstrating that the development procedures meet ANSI's essential requirements for openness, balance, consensus, and due process. "Videoconferencing lighting has a great impact on the user experience," said Ann Brigida, AVIXA's senior director of standards. 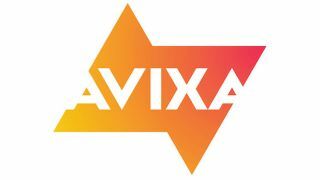 "AVIXA and IES share the goal of creating an environment that will enhance this form of communication. We are looking forward to working with IES again on guidance that will benefit both AV and lighting system outcomes." "IES was pleased to partner with AVIXA to create ANSI/IES/AVIXA RP-38-17. Their contributions enhance the value of the standard by providing both expertise from their standards writing committee members and also by offering the perspective of end users. IES appreciates their contributions to make this standard a very useful document for designing lighting for small-to-medium-sized videoconferencing rooms," concluded Pat McGillicuddy, manager of IES standards development. The Recommended Practice for Lighting Performance for Small to Medium Sized Videoconferencing Rooms standard, ANSI/IES/AVIXA RP-38-17, is available in pdf format from AVIXA at avixa.org/lightingVCstandard. AVIXA members can purchase the standard for $28; nonmembers can purchase the standard for $40.